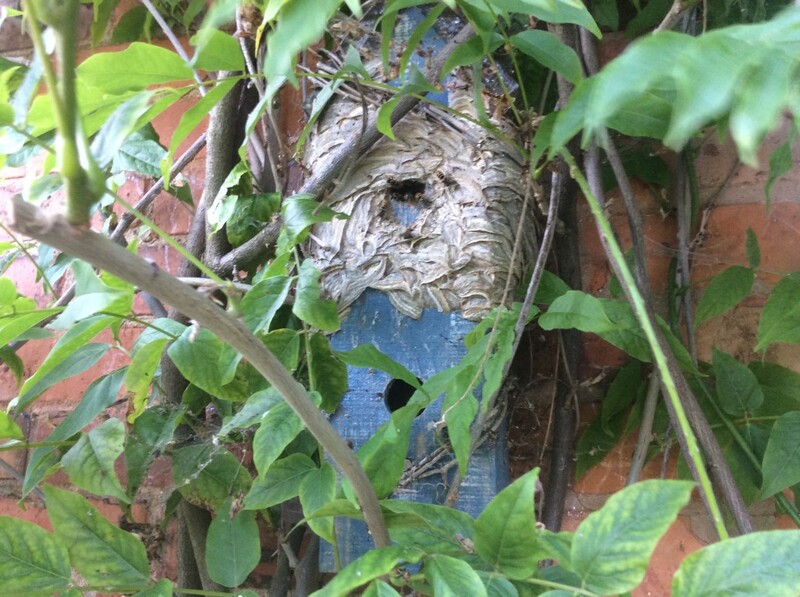 A before and after photo of a wasp nest in a bird box. 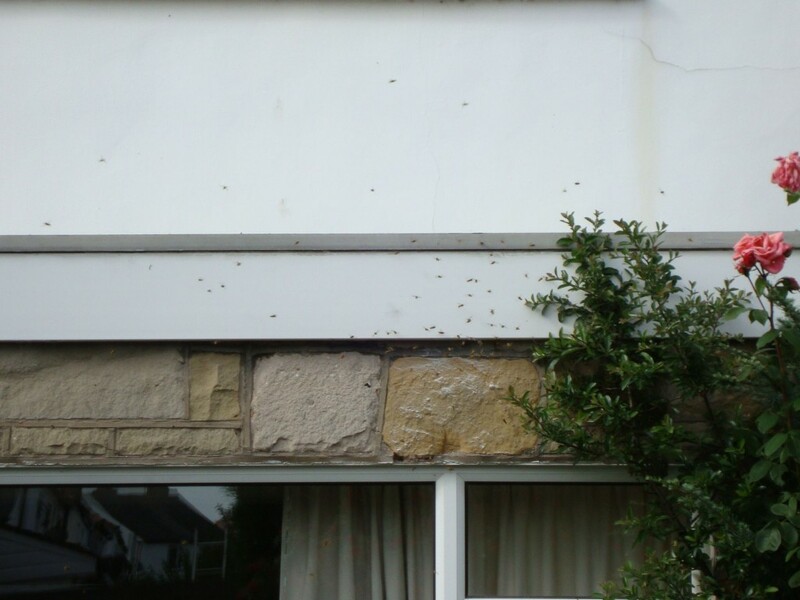 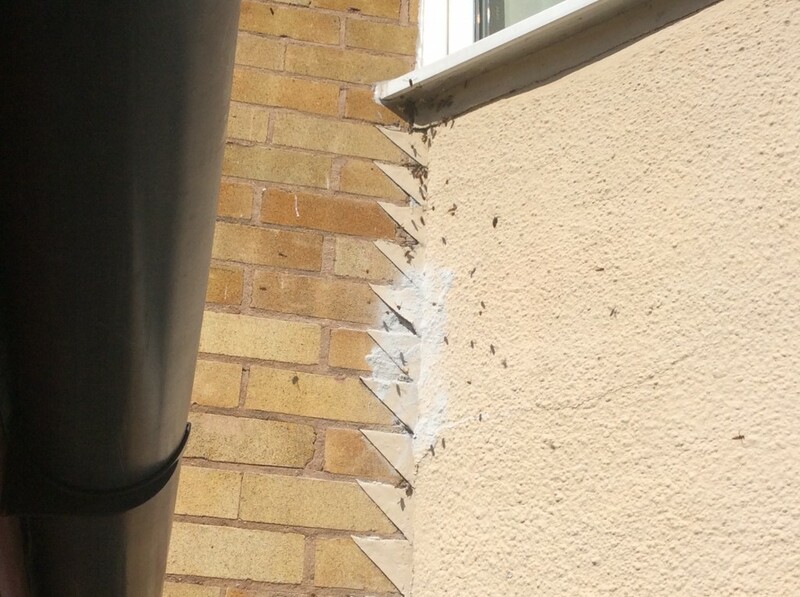 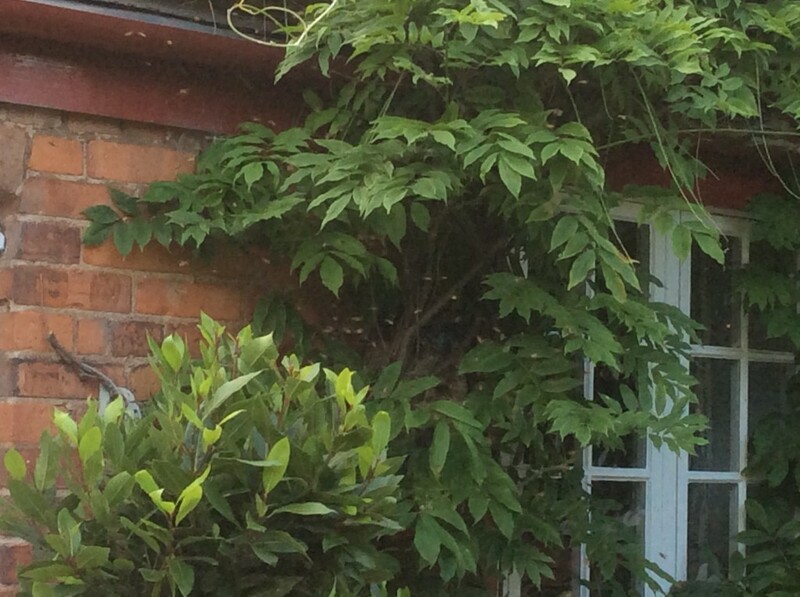 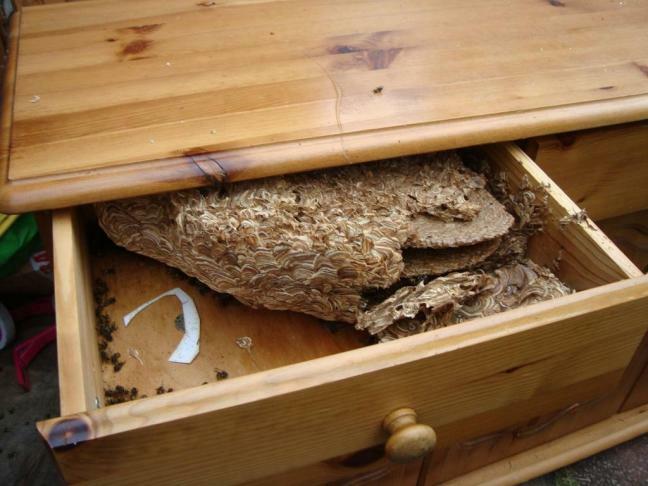 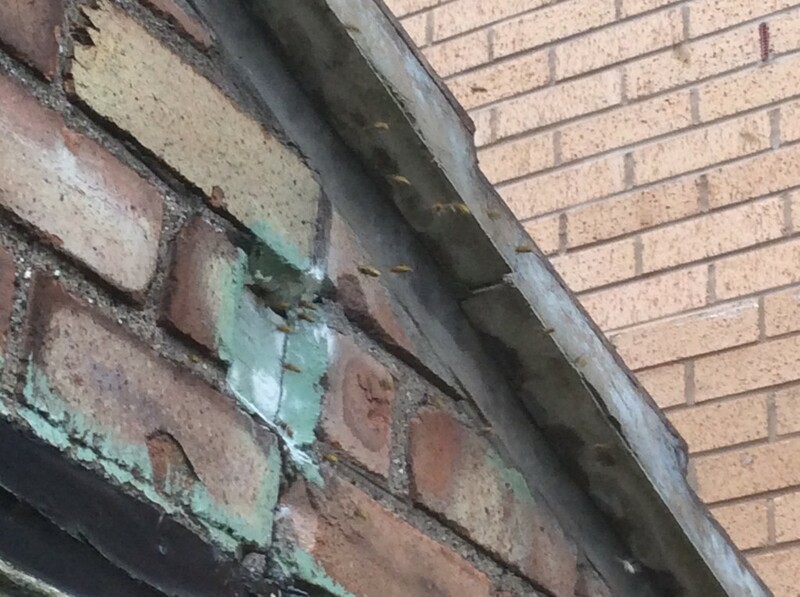 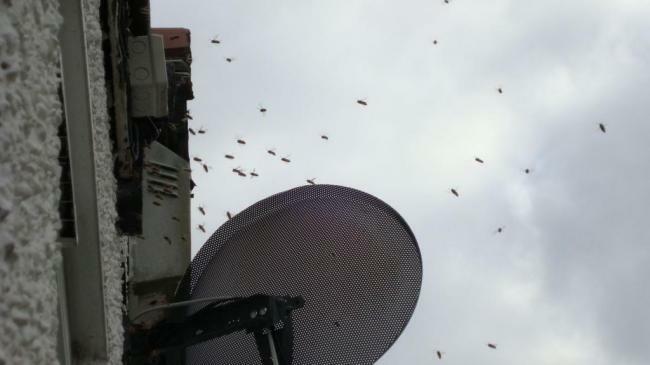 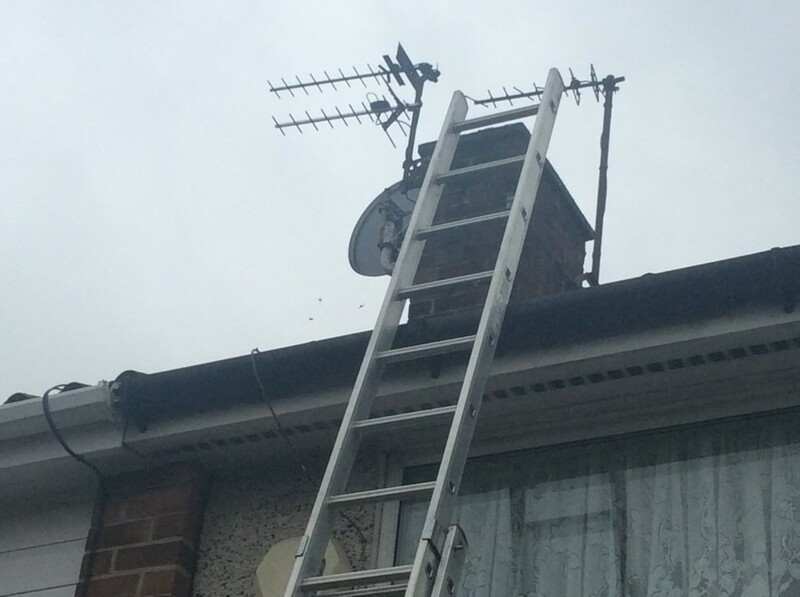 The small space of the bird box contained hundreds and hundreds of wasps. 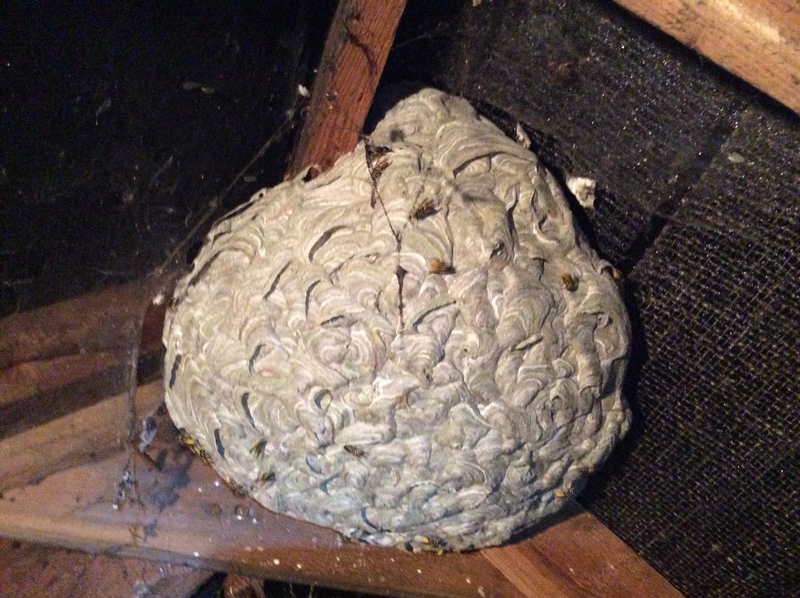 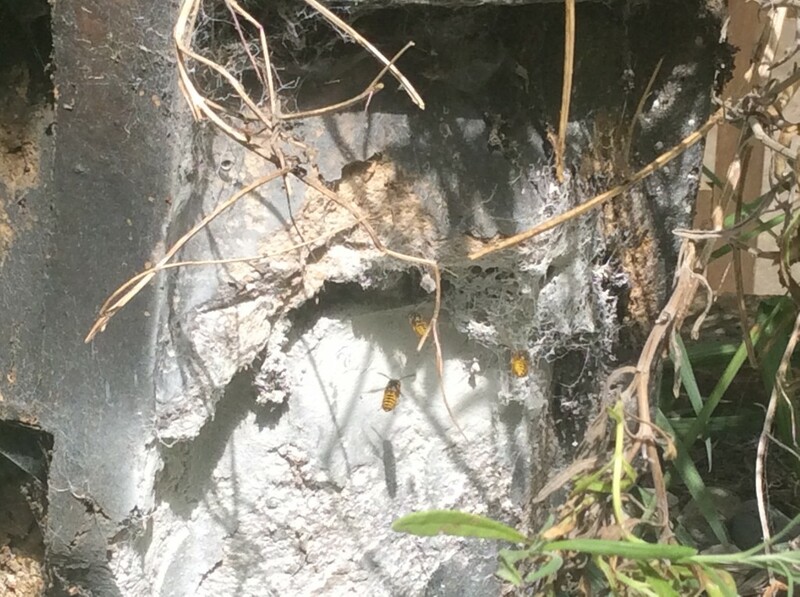 A close up of a treated wasp nest in a chimney pot planter. 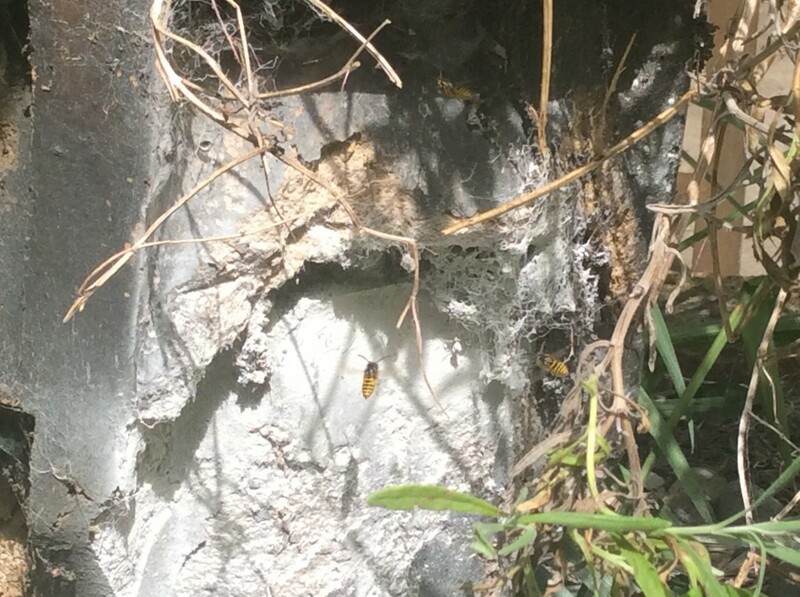 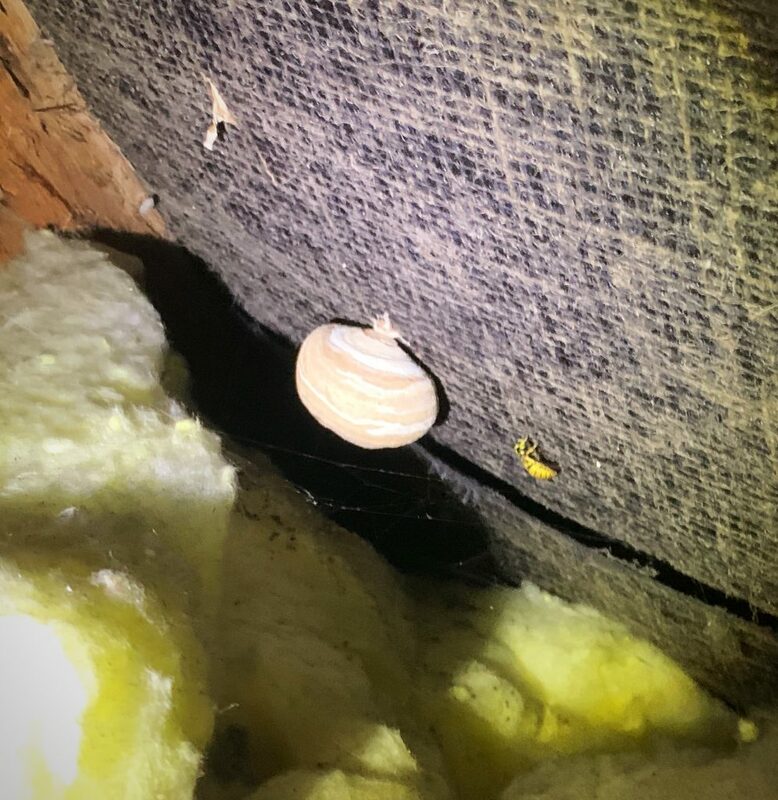 One of these little wasps stung the customers partner.